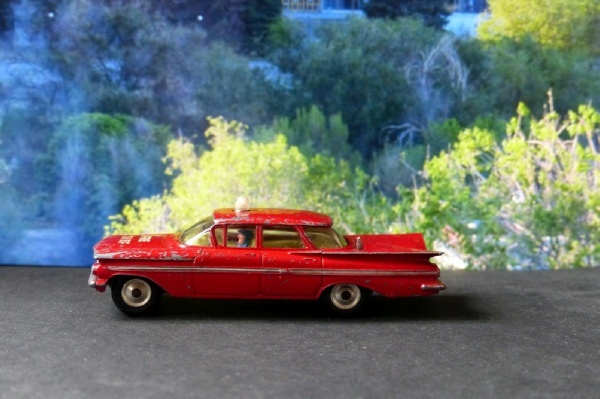 A reasonable Impala with all red sides instead of the more usual white doors. I think it looks better like this actually! This model is not perfect, having clear signs of being played with but it has solid suspension, no dents and there is just one scratch on the front window.